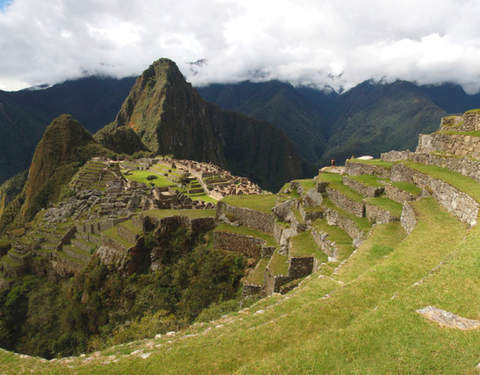 Andean landscapes, archaeological sites, local culture and charming villages. 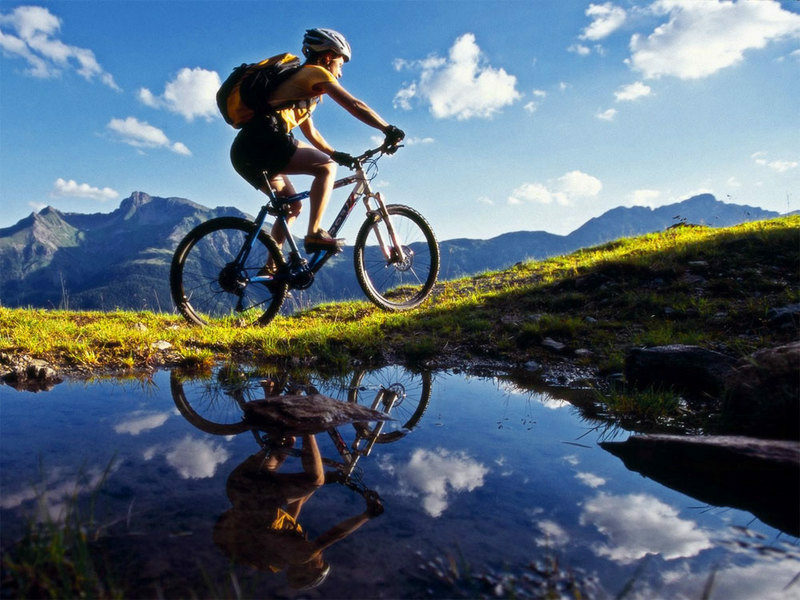 Everything and more in this tour to pedal through the trails of Moray, Maras and Urubamba. 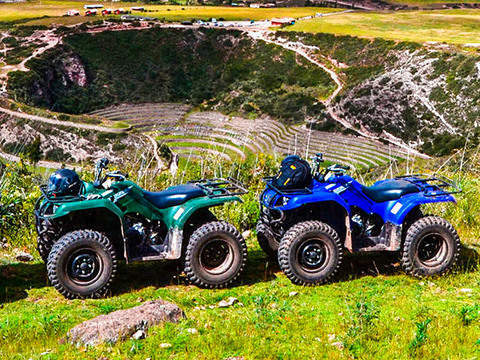 Get on the bike and get to know Moray, where our Inca ancestors experienced the crops at different heights. 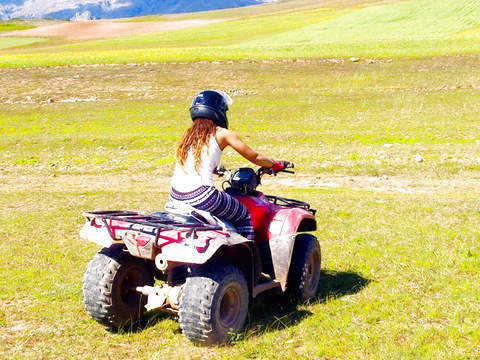 Pedal downhill and be surprised by the spectacular view of Maras, and its 3,000 salt pits located on the hillside. Follow the road to the west and visit Pichingoto, Quechua community whose houses have facades made of adobe but whose interior is carved on the mountain. Live this non-traditional circuit with a Diamond Back aluminum super bike and all the safety equipment. Between 8:00 a.m. - 8:30 a.m. Pick up from your hotel. 8:30 am Departure to Maras - Moray to start the tour. The beauty of the Andean landscape will be appreciated all the way to the Archaeological Center of Moray. 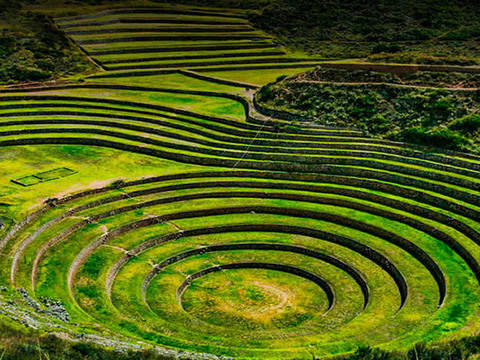 From Moray begins the descent to the district of Maras where you have a privileged view of the Sacred Valley of the Incas, surrounded by the impressive mountains and snow. 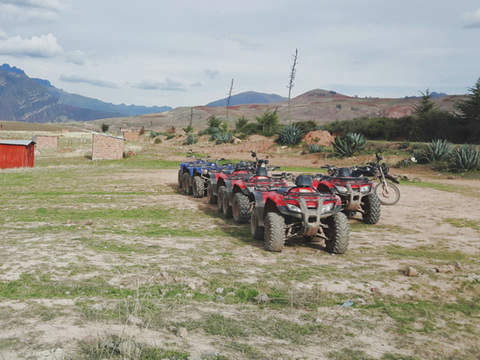 Afterwards, we will visit the old salt mines of Maras to finally enjoy the last section Pichingoto - Urubamba. Official bilingual tourism guide (Spanish / English). DIAMOND BACK aluminum bicycle with double suspension. Body armor, gloves and helmet. Ticket to Salt Mines (S / .5.00). Information about the route: Location: 40 km. NE Cusco. / Altitude: 3400-2800 masl / Smooth, flat ascent and technical descents.